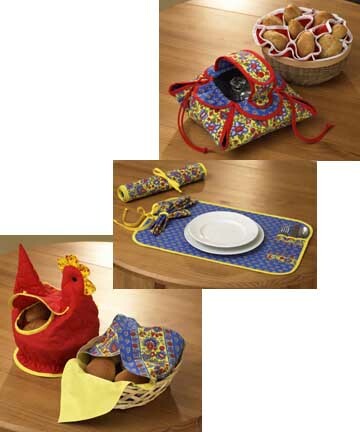 Casserole Carrier Pattern by SewBaby! Great for picnics, church carry-in dinners, fellowship meals, and reunions! Includes two styles of carriers (round or oblong shape) that keep your hot dishes warm and safe in transport. Uses "Warm and Natural" batting. Easy to sew!